Cage Warriors bring 2 World Titles to Liverpool as hometown stars Chris Fishgold and Lee Chadwick top the biggest card of the year. The Liverpool Echo arena will once again play host to an amazing night of bouts this Saturday October 28th, as Chris Fishgold looks to defend his Lightweight title for the third time and Lee Chadwick fights for the vacant Middleweight belt on home soil. Travelling fighters Alexander Jacobsen and Victor Cheng cross the ocean to challenge the two Liverpudlians, and will no doubt be bringing the support of their countrymen with them to make this a European rivalry for the ages. Chris Fishgold (17-1-1) boasts 11 submission wins, and is renowned as one of the most dangerous fighters on the European circuit in close quarters. Jacobsen (8-1) knows he’ll have to stay out of Fishgold’s grip to have any chance of taking the title out of Liverpool, but has serious power in his hands and can close the show with just one shot if he lands clean. For Lee Chadwick (23-13), this event means everything. This is the pinnacle of his career and, as a veteran of over 30 fights, perhaps the last chance he’ll have to get his hands on Middleweight gold. Standing in his way is Victor Cheng (11-2), who has taken out some of the best in the division and is riding a 4-fight win streak. A packed professional and amateur undercard beneath our leading fights bills Cage Warriors 88 as the most exciting night of the Cage Warriors calendar. With appearances from Liverpool favourite Molly McCann and dangerous lightweights Martin Stapleton and Soren Bak, who clash in one of the most anticipated bouts of the year, and it all adds up to an unmissable night of fights in Liverpool on October 28th. 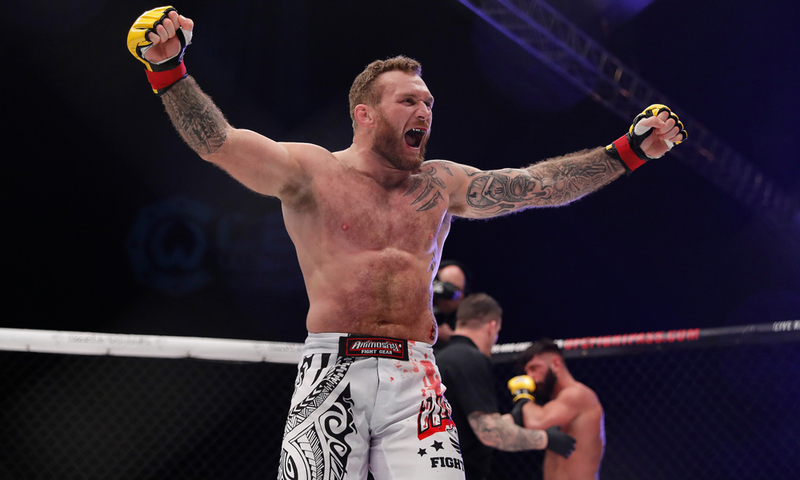 Cage Warriors has a host of premium broadcast partners, serving countries across the globe. You can watch our main event on UFC FightPass and BT Sport 1 at 9pm. The preliminary card will also be streamed live and free online via the Sport Bible Facebook page at 7pm.